American English Pronunciation: “What’s The Matter With You”? The main focus here is on the sound created by the double TT in the middle of the word “matter” – it’s the so called FLAP T sound – and it’s actually much closer to the letter D than T! That’s the reason why I’ve transcribed the flap T sound with the letter D or with a two letter combination TD in my American Pronunciation learning program Accent Genie, and as you can see in the screenshot below – the FLAP T sound in the word “fitting” is transcribed with the two letter combination TD (just because in this case it’s not as close to D as in the word “matter”). But anyway – going back to today’s phrase WHAT’S THE MATTER WITH YOU? – it basically becomes “What’s the maDer with you?” because Americans transform the double TT into a sound which is much closer to D (with a little hint of “R” in it probably). If you want to get it just right, however, please watch the video above where I’m looking at this phrase in depth and I’m also giving you a few useful tips on how to get the FLAP T sound just right. Other things that you have to watch out for when practicing this phrase are the W sound in the word WHAT’S and you also have to make sure to put stress on the first syllable of the word “matter”. Uat’s the maDer with you? Is it all a bit too confusing? 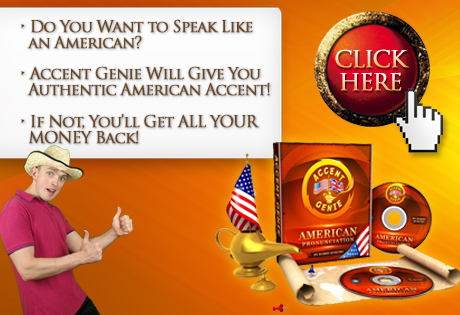 And of course, if you’re REALLY serious about your American accent and English pronunciation improvement in general, you definitely want to check out the Accent Genie program which is all about learning the American pronunciation in a fast and effective manner.